Graco G3 Pumps- G3Max, G3 Pro, G1 , Order Today-Ship Today! 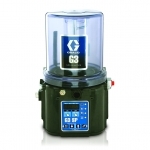 Why Graco G3 Pumps from MotionSource? Extend machinery life, reduce operating costs and increase productivity with a Graco G-Series Pumps today! Call us for a free quote, 888-963-6686 or email Sales@MotionSource1.com or simply complete the Quick Quote form to your right and we’ll give you a call back! 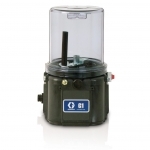 Click on any of the pumps for more information and technical data. • The most advanced user controls in its class—allows you to customize for your unique needs. 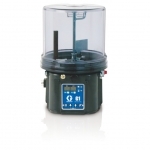 Temperature changes, changing grease types and challenging installation requirements are no problem for the G3 electric lubrication pump. 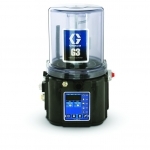 With its flexible design, including adjustable pump elements and an ability to work with both injector-based and series progressive systems, G3 is a rugged, cost-effective pump designed to serve multiple markets and applications. The pump features three control choices, which means added flexibility for easy lube system set-up, operation and troubleshooting. The pump extends machinery life, reduces operating costs and increases productivity for usage in a wide variety of markets, including in-plant manufacturing, mobile and wind turbines. Call us today, 888-963-6686 or email us at Sales@MotionSource1.com. Order today, Ship today with MotionSource!